The above question in the title, posed as it is, may appear callous but at times the plight of indigenous peoples around the globe seems so perilous that there seems little hope of reversing the systematic destruction of their populations and habitats. However, there are signs of resistance and hope. 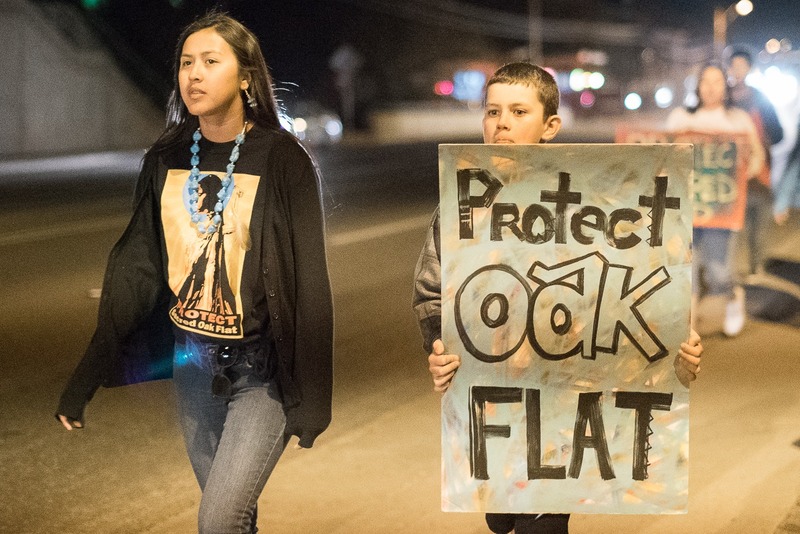 One example of this is the current battle to save Oak Flat, Arizona. San Carlos Apaches are protesting the dubious selling-off of lands in Arizona, land that is sacred to their tribe, and this combined with an online petition and growing media coverage of the situation may well strike a blow at the heart of Washington by forcing the bill to be overturned. For more information, please visit the following links where there are a number of news items covering the San Carlos Apaches’ plight: The New York Times, The Guardian, and Al Jazeera America. For anyone interested in learning about past atrocities, betrayals, and the general maltreatment of indigenous peoples there are a number of easily accessed items of popular culture. Two such items that spring readily to mind are Johnny Cash’s 1964 recording of Bitter Tears: Ballads of the American Indian (recently revisited by artists such as Gillian Welch, Emmylou Harris, and David Rawlings on the tribute album Look Again to the Wind: Johnny Cash’s Bitter Tears Revisited), and Dee Brown’s Bury My Heart at Wounded Knee: An Indian History of the Indian West. For those interested in a more in-depth discussion of the wider problem of the systematic genocide of indigenous peoples, refer to Benjamin Madley’s paper, “Patterns of frontier genocide 1803–1910: the Aboriginal Tasmanians, the Yuki of California, and the Herero of Namibia,” in Journal of Genocide Research (2004), 6 (2), June, 167–192. This entry was posted on Monday, July 27th, 2015 at 10:33 am	and tagged with Apache, indigenous, U.S. policy and posted in Culture, Indigenous Peoples, Politics. You can follow any responses to this entry through the RSS 2.0 feed.